In San Francisco this weekend, the inaugural Emojicon brought together the world's foremost experts on emoji, language and design to answer some of our most pressing emoji questions. Emoji are changing the way we communicate -- new slang has worked its way into our lexicon (hair toss, anyone? ), and storytelling through tiny icons is as important for self expression as actual words. Precursors to today's emoji didn't have cartoonish design or facial expressions, and early emoji didn't have the option to change skin color or different physical characteristics. 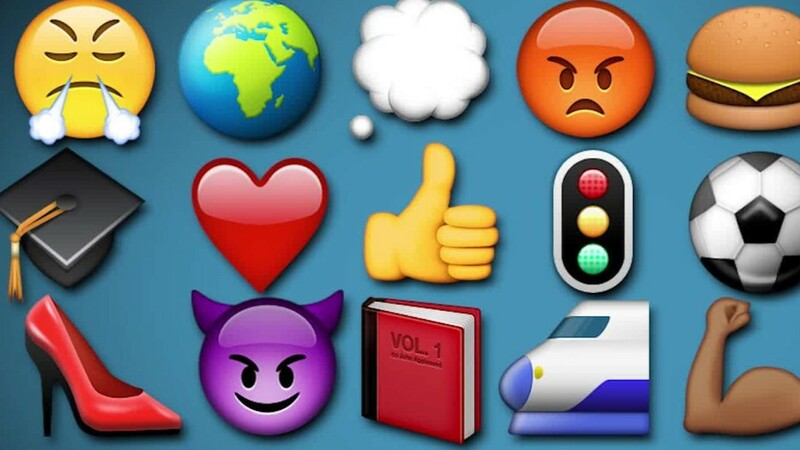 As emoji evolved, so did the ways people use them. Schnoebelen said that before changing skin tone was an option, tweets about #BlackLivesMatter rarely included emoji, because tweeting a yellow fist didn't fit the message. But once people could change skin color, emoji use increased. Twitter even created a special fist icon to automatically accompany the hashtag. Following criticism about stereotypically gendered emoji, Google engineers proposed a suite of new professional emoji represented by women, like a farmer, health worker and a scientist. Rachel Been, an art director and designer at Google (GOOGL) who proposed the set of new female characters, said that representation in emoji matters. Google changed its people emoji from yellow blobs to more human-like icons, and made conscious decisions about how best to represent gender and race. For instance, Google changed the color of female emoji clothes from pink to purplish-blue. Further, Been said, it was important to consider how people use emoji -- the professional emoji could be used to represent jobs, memes, or pop culture references. Being too specific can limit creative expression. For instance, some people use fruit emoji to describe body parts, and the "information desk person" emoji to communicate a hair toss. "There's this fine line between specificity in design and making sure people understand what this thing is, but also allowing the audience to use it for metaphor purposes," Been said. Anyone can submit their own proposals to the Unicode Consortium, the group that decides which emoji actually get be added to our phones. Few proposals make it mainstream, but once an emoji is approved, it's usually a part of our culture forever. Apple (AAPL) broke with this trend and recently removed an emoji from its library, changing the gun emoji to a squirt gun. A separate room at the conference was home to people working on emoji proposals. Suggestions included a hijab, peacock, hammer and sickle, pretzel, and ever more hand expressions. The Emoji Request website showcases the most-requested emoji and lets users vote on what they'd like to see in the future. The two most-requested emoji are yellow smileys, one with a finger to its lips, and another with hearts around its head. About 1,000 people were scheduled to attend Emojicon, which is both a celebration of the characters we text to friends and an exploration of how they'll continue to change our culture. It invites people to think more critically and creatively about the messages we send and how they can be interpreted.